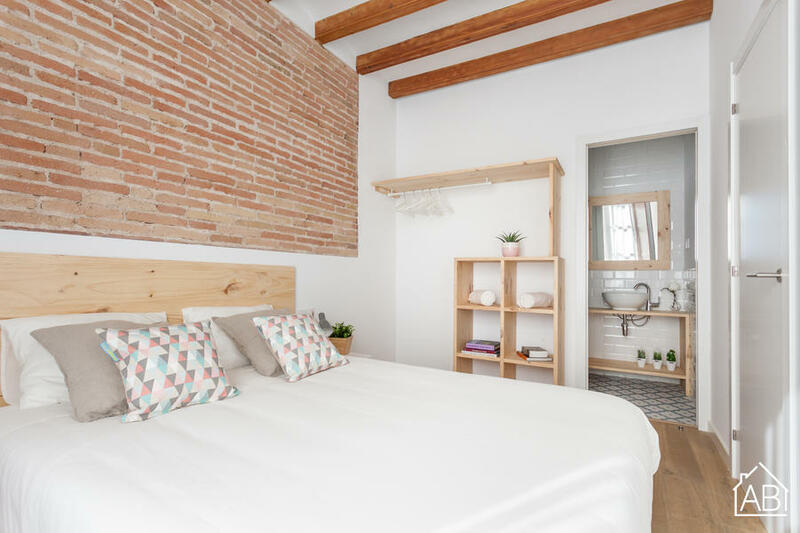 Situated just five minutes from the Mercat de Sant Antoni, this premium apartment offers air conditioning, free wifi, and an excellent location. It is just a three minute walk from Sant Antoni metro station. The apartment sleeps up to four people across two bedrooms, one with one double bed and another with two single beds. It has a cosy living room with TV and sofa, and a small dining area. The apartment is chic and luxurious, but also cosy and homely. There are two bathrooms. Home to the Barcelona Contemporary Art Museum (MACBA) and Gaudí´s modernist Palau Güell, the Raval Quarter has a great location close to Las Ramblas and the Gothic Quarter. It has created an excellent name for itself in the more recent years due to it vibrant and artistic scene and must see architecture. The National Library of Catalonia can also be found in the Raval Quarter.